CustomCare MD is an innovative, scientifically-based internal medical practice that provides highly personalized, accessible and attentive care to its patients. Sometimes called a “concierge” or “retainer-fee” practice, CustomCare MD patients pay an annual retainer fee, which enables the practice to limit the number of patients and provide more personalized services. While a typical two-physician internal medicine practice manages thousands of patients, CustomCare MD limits their practice to caring for just a few hundred per physician. In turn, CustomCare MD physicians are more accessible and are able to dedicate a much higher level of attention to each patient. 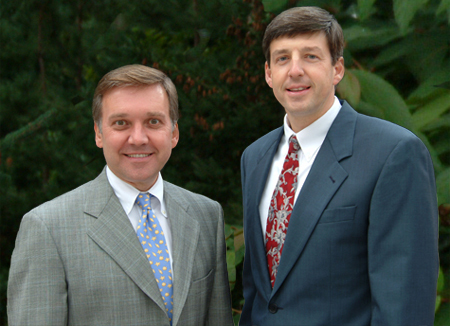 Dr. Todd Locke and Dr. Richard Tomm, partners in CustomCare MD, share a commitment to providing sophisticated medical care in a highly personalized setting.